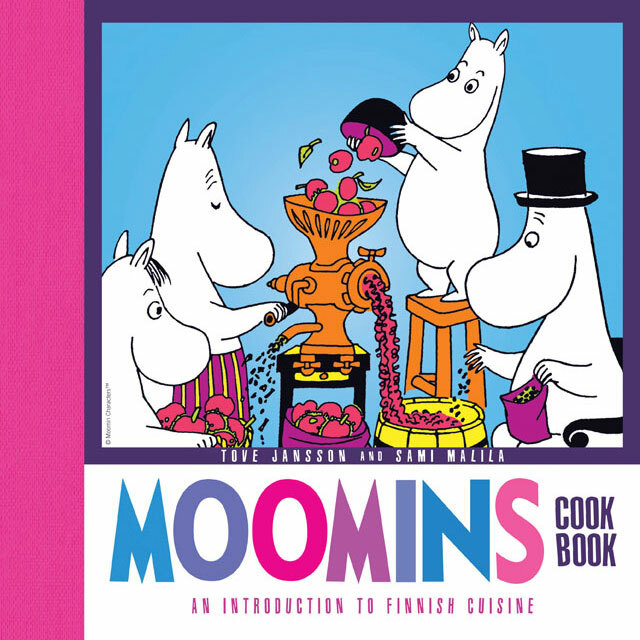 Now you can prepare a feast Moomin-style! 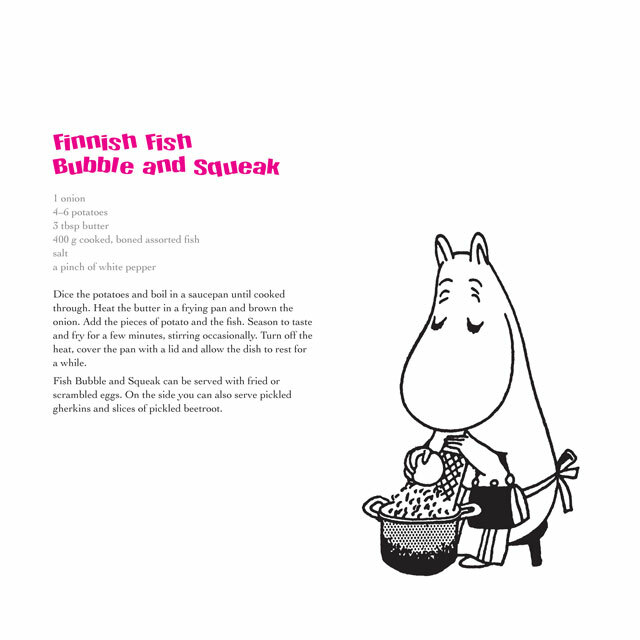 The Moomins Cookbook uncovers the secrets behind the tasty dishes prepared by the unflappable Moominmamma. 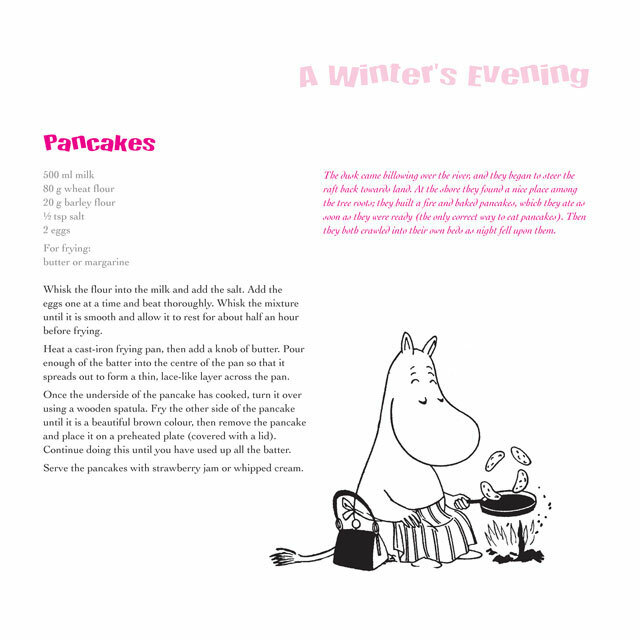 There are dishes for every occasion, from potatoes au gratin for hungry Moomins to Snufkin's picnic pot. Illustrated with Tove Jansson's drawings and packed with friendly Moominisms, this collection of culinary delights includes over 150 different recipes for drinks and dishes: salads, soups, picnics, suppers, cakes and desserts. Bon appétit!